Shopping for carpet is something nearly everyone has to do at some point in their life. New home in Zionsville? Finished basement in Carmel? Worn out living room in Fishers? New carpet is likely on the list in each of those circumstances. But how do you shop for carpet? There are many different types of carpet out there. Berber, loop, plush... which one is best for your lifestyle? Which one comes in the color and style that matches your decor? Which one do you like the best? Walking into a carpet store can be overwhelming from this very first step. Unless that carpet store is Kermans. We pride ourselves on providing service that is above and beyond what you'll find in any other store in Central Indiana. You won't be wandering aisles aimlessly, grabbing a few samples and leaving. At Kermans, you'll have access to our free design staff who can explain all the different types of carpet and talk about the pros and cons of each. Want to get a head start before visiting? 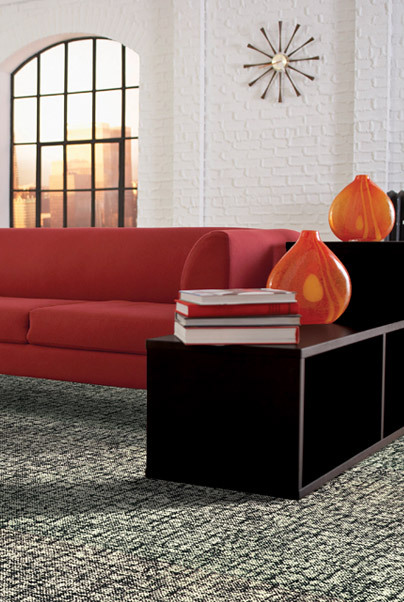 Check out our Online Carpet Buyer's Guide. The carpet that you fall in love with in the showroom may not be the same one you like in your living room. You need to see how it looks next to your furniture and walls. You need to see how it appears in natural light and lamplight. You need to walk on it, feel it and even live with it for a few days. When you narrow down your selections, we'll be happy to give you some samples to take home. Don't like any of them? Bring them back and we'll help you come up with a new option. Shopping for carpet should literally be a hands (and feet)-on experience. Go ahead, compare the prices you'll find at Kermans. Along with our free installation on selected carpet styles, free pad upgrade on minimum orders of 100 sq. yd. of carpet, free measurement service and free on-site design consultant. We think you'll be pleasantly surprised at the value and quality you find at Kermans. We call it the Kermans Advantage. As one of Central Indiana's largest flooring buyers, we have cost savings that we're able to pass on to our customers. And the exceptional service doesn't stop with your purchase. 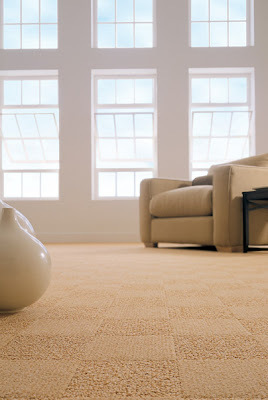 Our professional installation team will make sure your carpet is laid properly and be an investment for years to come. Stop by Kermans Fine Flooring on the northside of Indianapolis and start your hands-on carpet shopping today.